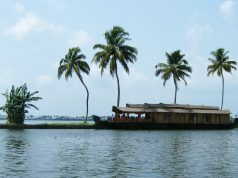 THIRUVANANTHAPURAM: Kerala is aiming to re-brand itself as a ‘Land of Adventure’ to increase tourist arrivals–both foreign and domestic in the next five years. The state was targetting the increase of foreign and domestic tourist arrivals by 100 per cent and 50 per cent respectively in the next five years, a tourism department press release said, reports PTI. 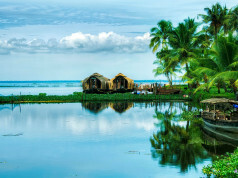 Kerala showcased its unexplored destinations and adventure tourism hot spots at the silver jubilee edition of SATTE-South Asia’s leading travel and tourism exhibition at New Delhi today. On the rebranding of Kerala,Tourism minister Kadakampally Surendran said that over the years, the industry had changed rapidly with vistors preferring to go beyond the historic temples, monuments and modern sights. 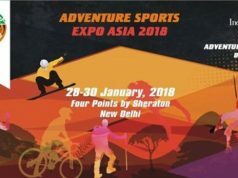 Tourists prefer to explore hills, waterfalls and forests by indulging in adventorous activities, he said, adding that hencefourth the state aims to be re-branded as the ‘land of adventure’ to woo the younger generation by offering activity and water based tourism. Tourism Director P Balakiran said that the interest of travellers was increasingly gravitating towards adventure tourism offerings, including expanded world view, nature and discovery and fun and thrills. The activity related tourism would help the state achieve the target of domestic and international tourist arrivals, he said. 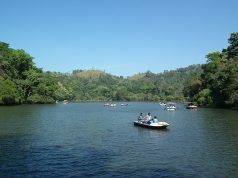 The rivers, high altitude mountains, dense forests and vast stretches of sea offers an array of adventure packed destinations, he added.